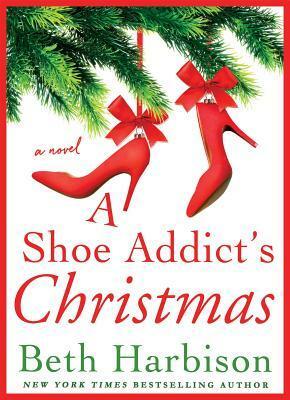 Summary: From the author of the beloved bestseller Shoe Addicts Anonymous comes a heartwarming twist on a classic tale filled with holiday cheer. Noelle is not a fan of the holidays and to make matters worse, she is at a crossroads in her life when it seems that love and adventure are no longer possible. When she stays late at her job in a department store on a snowy Christmas Eve she accidentally gets locked in after closing. She isn’t too concerned about the prospect of spending the night in the store…until a woman appears out of nowhere and tells Noelle that she’s her guardian angel. Soon Noelle finds herself camped out in the shoe department facing several “ghosts” of Christmases past, present, and future…Will visiting the holidays of yesterday and tomorrow help Noelle see the true spirit of Christmas? And will the love she has longed for all her life be the best surprise gift of all? I settled in a bit earlier than my normal holiday reading time with this book and I must say that I really enjoyed it. Cute. Funny at times. And a nice take on A Christmas Carol. The cover. So cute. I may incorporate it into some holiday decorating. The story. The holidays are NOT always the cheerful “Hallmark threw up in here” moments that we are conditioned to think the holidays are. And people aren’t always sad because they don’t have a boyfriend. Noelle had some good reasons to be against the holidays- and I loved how she learned about how things could have been. That Noelle took a chance. I won’t say more than that- but sometimes taking a chance is the toughest thing ever. Bottom line: This is a quick read (around 160 pages). So, sit back with some hot chocolate or a hot toddy and let your mind enjoy a literary vacation. Adding it to my list because I love fun Christmas story!